(NaturalHealth365) The practice of chlorination has been used since the 1800s, although it didn’t become a standard until the early 1900s. It’s utilized primarily because it is the cheapest way to disinfect large amounts of water. The Journal of Orthomolecular Medicine provides a detailed account on the possible problematic issues with chlorine. If you’re concerned about your health – keep reading for more important information about this issue. Water contamination in small-town America made headlines two years ago when city officials in Flint, Michigan decided to save money and switch their source of drinking water from Lake Huron to the notoriously-dirty Flint River. Shortly after, an increasingly high number of young children were being seen at local clinics with rashes and hair loss. The toxic chemicals perfluoroalkyl and polyfluoroalkyl (PFAS) have been found in alarming levels in drinking water around the United States. In fact, they exceed safe levels that have been set by the Environmental Protection Agency, and are threatening the health of over 6 million people around the country. This disturbing news was uncovered by research teams from the Harvard John A. Paulson School of Engineering and Applied Sciences and the Harvard T.H. Chan School of Public Health and published August 9 in the journal Environmental Science & Technology Letters. 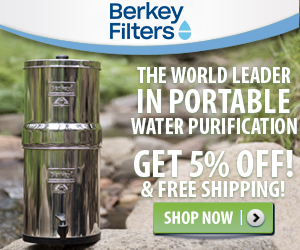 If you are looking for clean water a natural spring maybe your best alternative to tap water. FindASpring.com provides a free directory of local springs.